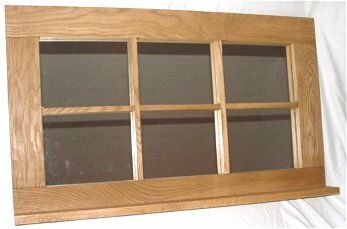 This this is sample of an Oak Country Window or Oak Mirror that we make and sell so many of. It is made of not plywood or MDF (cardboard.) Please tell us what you are looking for and we will handcraft something just for you to perfectly fit your space.